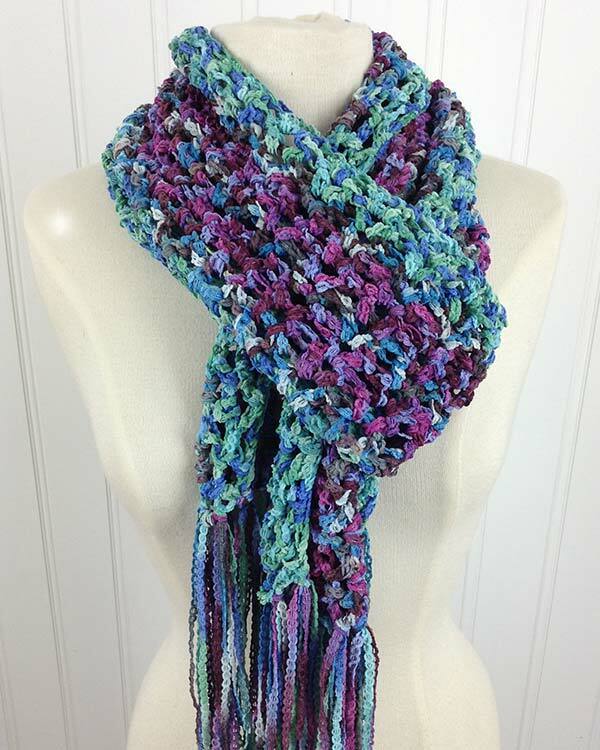 In the video – links below – I show you how to change yarn colors every row without having to break the ends with every color change. This will prevent you from having to sew in an bunch of ends. 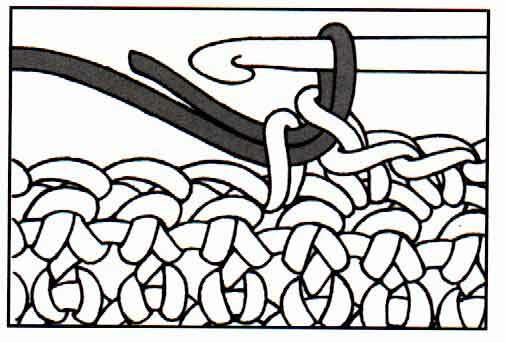 Row 1: (Right Side) Starting at bottom, with MC, ch a multiple of 6 +3, sc in 2nd ch from hook, skip 2 ch, * shell in next ch, skip 2 ch, sc in next ch, skip next ch; rep from * across to last sc, work last sc until 2 loops are on hook, make a slip knot on the end of CC yarn and draw the new color through the 2 loops on the hook to complete the sc (see picture above). 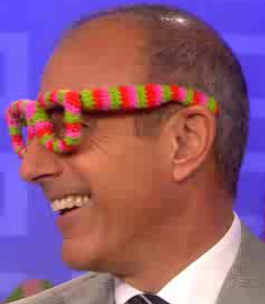 Leave MC hanging until next row. Row 3: With previous row facing you, insert hook from front to back in first dc of previous row, YO hook with the dropped MC yarn, draw the lp of MC up, ch 1, sc in first dc, Shell in next sc, *sc in center dc of next Shell, shell in next sc; rep from * across; end, work last sc until 2 loops are on hook, take loop of MC off stitch marker and put it back on hook, draw CC through the 2 loops on your hook to complete your last sc stitch. Rep Rows 2 and 3 as established alternating colors. Be sure to watch the video and subscribe to my channel. 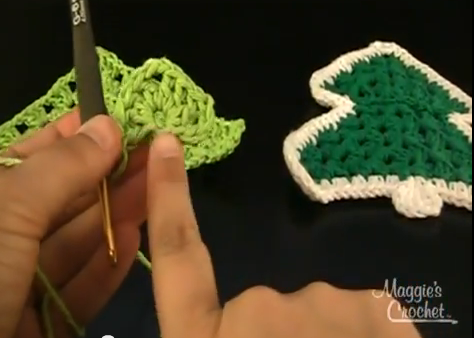 My mission is to help you master the art of crochet through these videos. Let me know what you need help with. I am here for you. 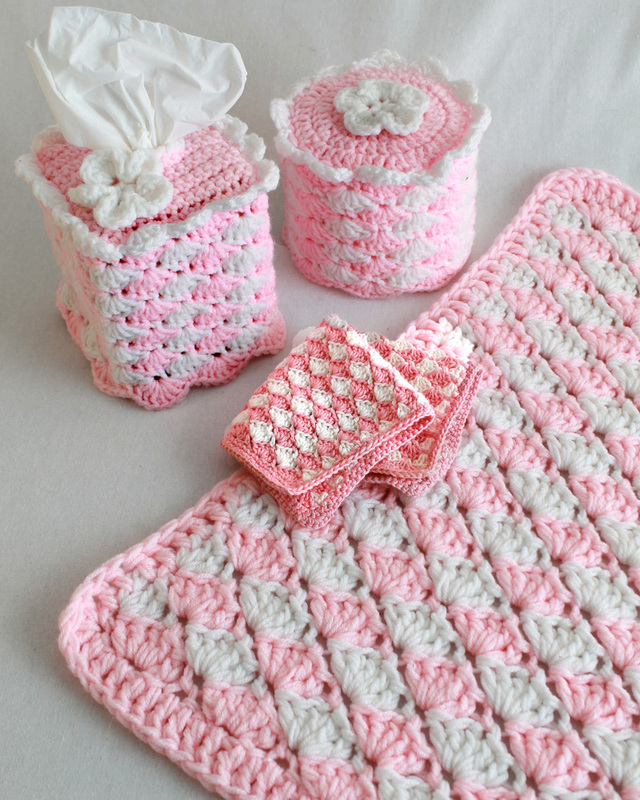 Shell Stitch Bathroom Crochet Set Pattern Includes: Kleenex Cover, Toilet Paper Cover, Washcloth and Rug. Click the image to see pattern details. 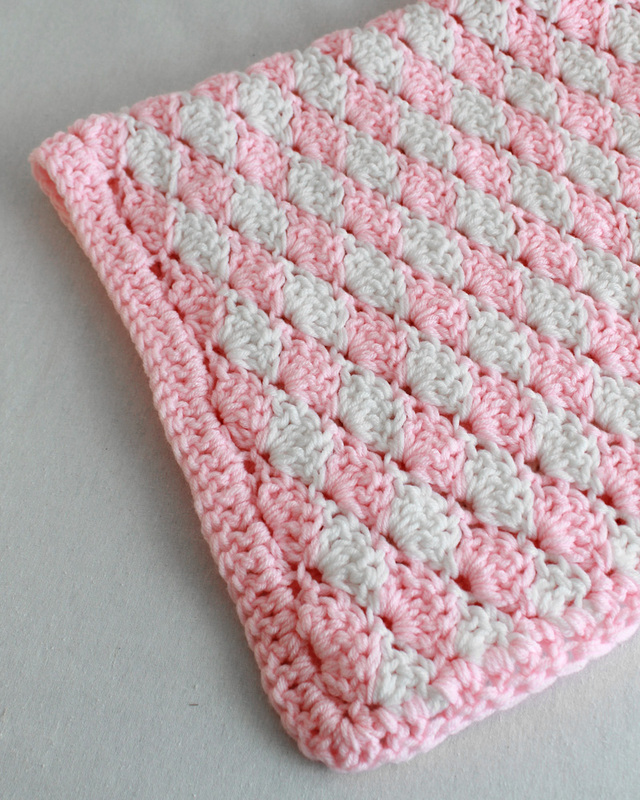 Crochet Shell Stitch Washcloth. Click image to see pattern details. 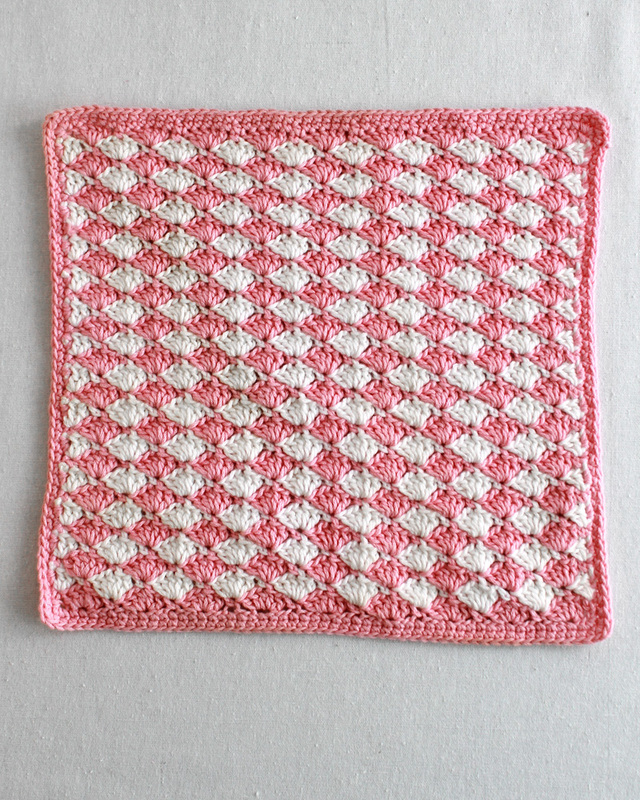 Shell stitch rug. Click image to see pattern details. Maggie: Love your tutorials. I have been crocheting 40 years and still learn new things…Thanks so much.